This beautiful holiday house is situated just 100m away from the sandy beach and it shares the garden with GPE299. You will be in Agios Andreas. This beautiful holiday house is situated just 100m away from the sandy beach and it shares the garden with GPE299. 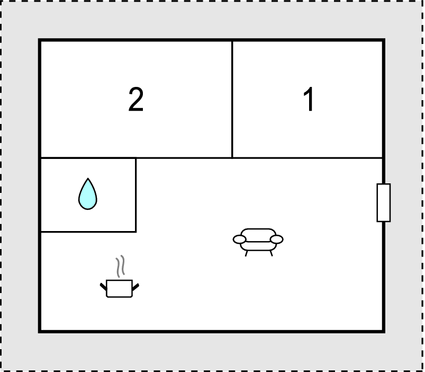 It owns a small kitchen with the living room, one bedroom with 2 single beds, while the other bedroom has one double bed and a bathroom with shower. You can discover the region of Agios Andreas, a quiet village few kilometers south of Paralio Astros, which is part of North Kynouria and which owns a port serving the inland town of Astros, Arcadia. You will enjoy the beautiful beaches. The history lovers will not miss the historical sites around, such as the medieval Frankish fortress on the heights of a peninsula. Do not miss the Archeological Museum of Astros or the many local taverns to discover typical Greek food. This solidly constructed modern villa was recently built in 2008. The agent has rated it as a three star property so it is a well-kept villa, equipped with standard furniture. It is also good value for money. 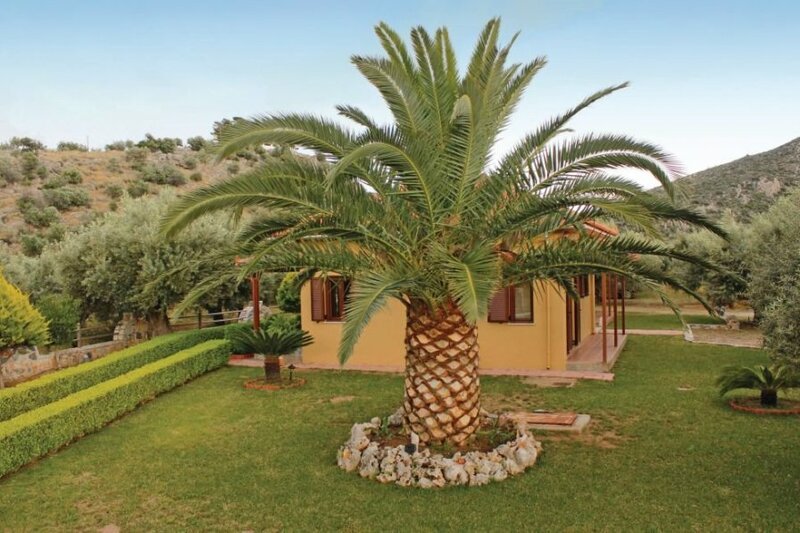 This villa has mountain view and is located in Peloponnese, only 8.5km from Astros. It is set in a very convenient location, just 100 metres away from a sandy beach. There's also a restaurant only 100 metres away. You can also park on-site at no extra charge. The villa is adequately equipped: it has a refrigerator. It also has a barbecue, a garden and some garden furniture outside.